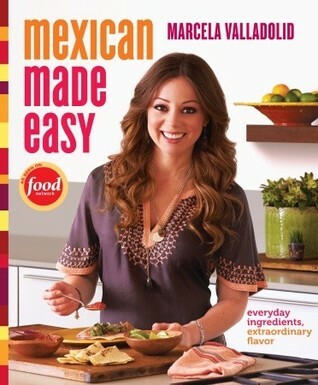 Marcela Valladolid began her career in the public eye wanting to share with people the fresh, vibrant flavors of her native Mexico. Tired of people thinking that Mexican food consisted merely of tacos, burritos, and fajitas, and frustrated with the misconception Mexican food is anything with tortillas drowned in bright yellow cheese, Marcela has set out to show Americans what fresh Mexican food really looks and tastes like. 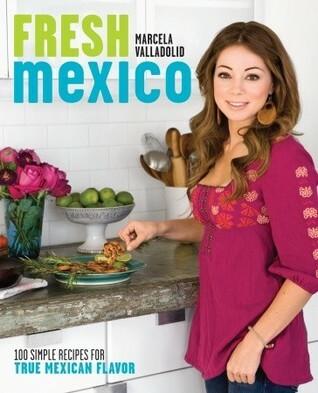 In Fresh Mexico, Marcela takes much inspiration from her home region of Baja, with a large number of fresh seafood dishes adorning its vibrant pages. Though the book is not exclusively seafood, you can definitely tell that the salty sea of Baja was her main inspiration for many of its dishes. Mexican Made Easy has a wider range of regional/fusion dishes but maintains the mantra of using fresh, authentic ingredients. At the same time, she understands that not everyone is going to be able to find authentic Mexican ingredients at their local market and often gives equivalent substitutions (sour cream for Mexican crema for instance). Both of these books are visually stunning with bright, vivid color schemes and equally bright and vibrant photographs of a large number of the recipes inlcuded. As you flip through the pages, you are hungry from the moment you open the book until long after you close it. The saying "you eat with your eyes first" was definitely on the minds of the graphic designers and photographers of these books. Something else I loved about both of these books was how personal all of these dishes were to Marcela, often using family and friends for inspiration and giving such heartfelt background to why and how the recipes were important to her. If she had a ghostwriter for these cookbooks (an issue recently brought to the attention of many New York Times readers with this controversial article by Julia Moskin) they were darn good at their job and translating Marcela's voice and heart onto these pages. So far I have tried one dish from each of the books and one was so good that I made it for dinner two nights in a row. The other dish I tried was actually a beverage and a complete miss for me. However, one miss is not going to stop me from continuing to try more dishes from both of these beautiful books. The first dish I made was from Fresh Mexico and it was the Ancho, Pecan, and Honey-Glazed Chicken Drumettes. I used chicken thighs instead of legs because I had a ton of thighs in the freezer and wanted to use them up. Honestly, whatever part of the chicken you use makes no difference. This is the best barbeque chicken glaze I have ever had: homemade or bottled. It was so good that I went back and licked the dish I cooked it in. Very classy of me I know. 2. Stir the honey, pecans, and butter in a medium saucepan over medium-low heat for 3 minutes or until the mixture bubbles. Best barbeque sauce I've ever had. I made it 2 nights in a row! 3. Remove from heat and stir in vinegar, Worcestershire sauce, ancho chile, and garlic powder. Season the glaze to taste with salt and pepper. 5. Bake chicken for 25 minutes or until cooked through. 6. Be prepared to lick your fingers and any other dish or body part still containing this mouthwatering glaze when there is no longer any chicken left on your plate. The beverage I tried was from Mexican Made Easy and it was Oatmeal Horchata. Normally I love regular horchata which is a very refreshing Mexican rice drink. I've made it and posted about it here on my blog. Oatmeal horchata just didn't do it for me. It tasted like wallpaper paste. But maybe someone else other than me will like the flavor of it (If you like almond milk, which I do not, it has a similar flavor). 1. In a large pitcher, soak the oats and cinnamon in the cold water for 30 minutes. 2. Blend the mixture (including the cinnamon) in a blender until smooth. 3. Strain and sweeten with sugar or agave to taste. Serve well chilled over ice. If I managed to do either of these books justice and you're now hungry for fresh Mexican food, give these books a try. These books sound great. I love Mexican food, and there is plenty of it here in Tucson, but so much of it is made with lard, and it would be nice to have fresh alternatives! That chicken looks MUY DELICIOSO!!! I pinned that picture will be making that soon! I like the sound of both of these books. And, yeah, that glaze looks awesome! yes, that chicken with the sauce looks so good. yum. That glaze looks wonderful, I'm going to try it for sure. Both books sound great, you've definitely done them justice! The chicken looks fantastic, two days in a row is a fabulous recommendation. Have to try this one. 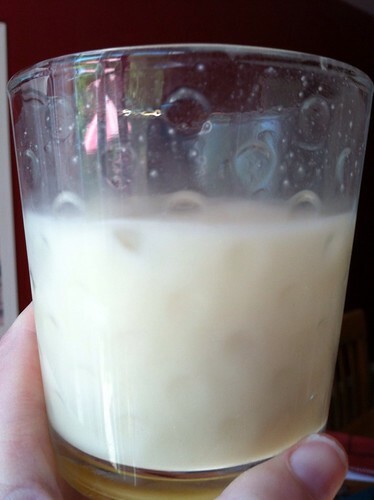 The horchata looks refreshing. Love the chicken dish. Wouldn't have thought of using pecans. Have a great day. That chicken looks lip smackin' good. And she does not look like a chef! Yum that chicken looks tasty! Okay, I'm totally sold on the barbeque sauce. I must try it! Thank you for sharing!